When viewing a page with printable=true; the page footer is rendered as in the desktop view. 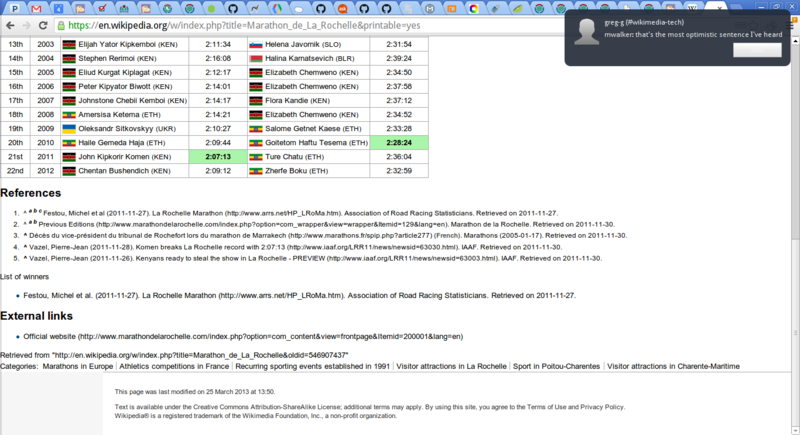 Screenshot of https://en.wikipedia.org/w/index.php?title=Marathon_de_La_Rochelle&printable=yes&debug=true attached. bzimport set Reference to bz56592. Definitely. The way it was fixed, the print styles are only applied during actual printing (or "native" print preview), not with printable=yes. This looks a lot worse now after the typography refresh. We really should just do the media queries for Vector the standard way. Not actually backported yet because jenkins has issues, ugh.